Home > Episode 1,600: The Star Wars Holiday Special at 40! 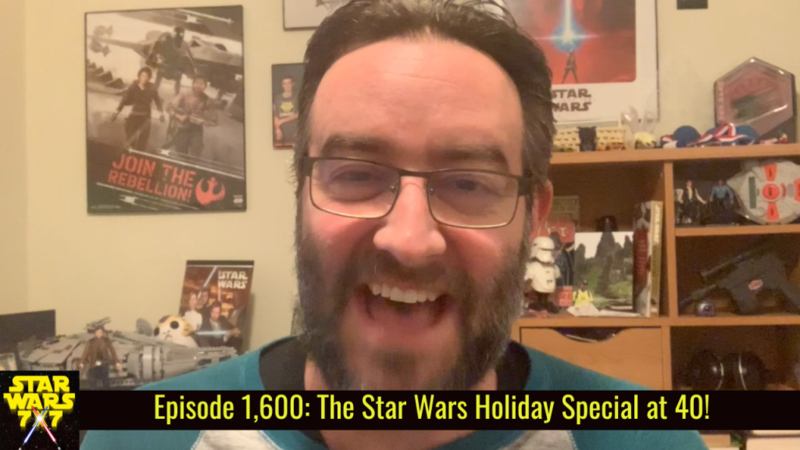 Episode 1,600: The Star Wars Holiday Special at 40! The thing is, the Star Wars Holiday Special really starts with a bang, and you think it’s going to be awesome! Then, after nine minutes of Shyriiwook-only dialogue, you wonder what you’ve gotten yourself into. Plus, Harvey Korman inspires Rio Durant in Solo: A Star Wars Story. Punch it!